It’s Christmas, and a few familiar rockers are getting in on the holiday fun by releasing special Christmas songs and videos. 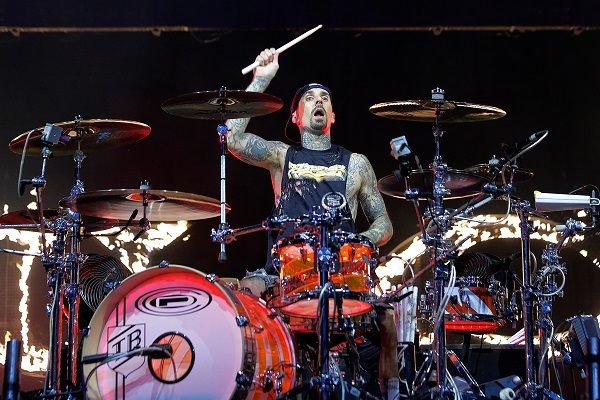 Travis Barker of Blink-182 joined forces with Ralph Nader of the drum collective BYOS to perform a unique rendition of the Christmas classic, “Little Drummer Boy.” The performance is streaming now on YouTube and can be viewed below. Just for the holidays, grunge rockers Pearl Jam have unleashed a “yule log” video, offering up 53 minutes of a log burning in a fireplace while Pearl Jam songs play in the background. The “yule log” playlist also features Eddie Vedder and Pearl Jam’s covers of some Christmas classics, including their instrumental version of “Jingle Bells” and a few other random tunes, like the 1991 “Acoustic #1” demo. View the “yule log” video below.